Make It Handmade: Guest Post At What's Ur Home Story! Guest Post At What's Ur Home Story! One of my goals for 2013 is to update my home decor. By update, I mean create-- between home repairs and 2 kiddos, I never really decorated in the first place. Right now I'm just collecting ideas, which is how I fell in love with Vidya's blog, What's Ur Home Story. Her blog is not only fresh and modern-- but it has a lot of heart. I was so excited when Vidya asked me to guest post! I'm going to show you the easiest way to make pillow cases-- with no serging required. 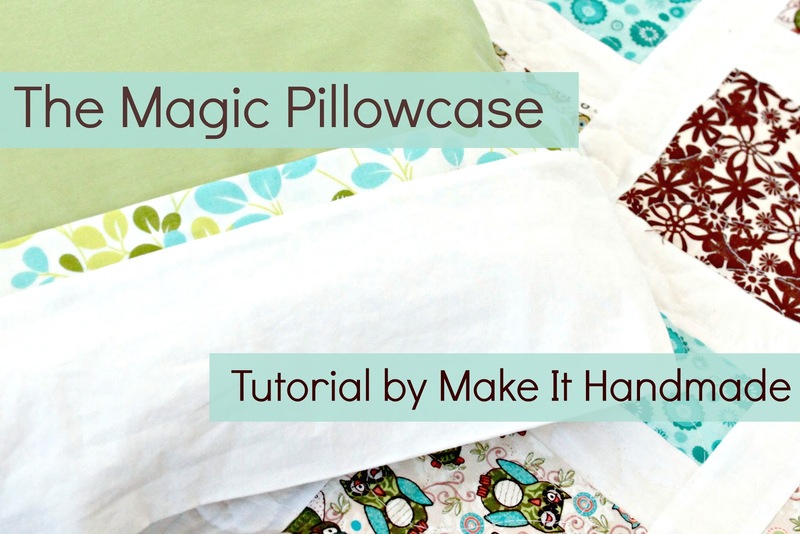 Click on over for the pillowcase tutorial at WUHS! I'll be back here on Wednesday with an Uttarayan (Kite Flying) craft.